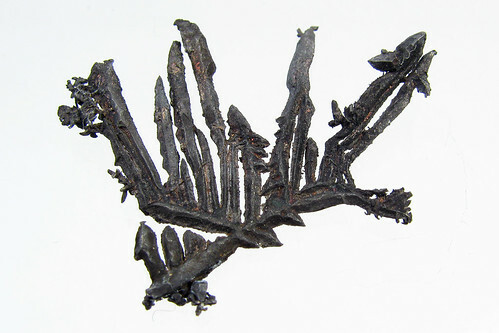 Silver as a mineral can form these dendritic structures. This one is from Batopilas, Chihuahua, Mexico and measures 3x3x0,5 cm. The black color is caused by a slight oxidation of the silver.